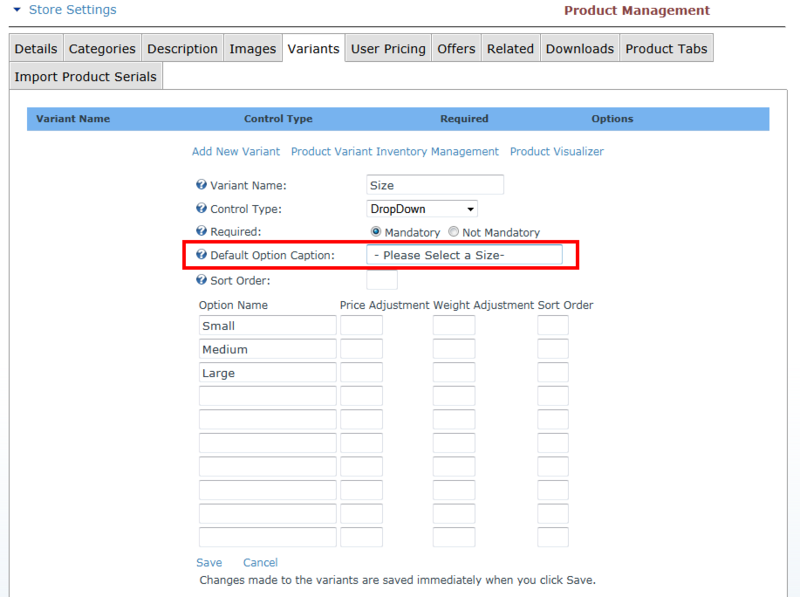 Continuing on with the series of new features added to Cart Viper 1.4.0 is the ability to define a default value for a drop down variant option. 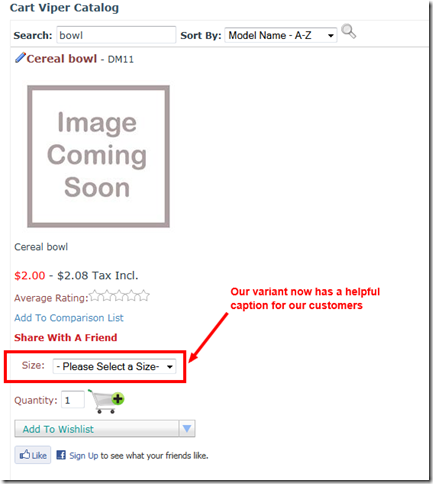 This allows you write a caption which helps the customer understand the meaning and purpose of the variant for the product. 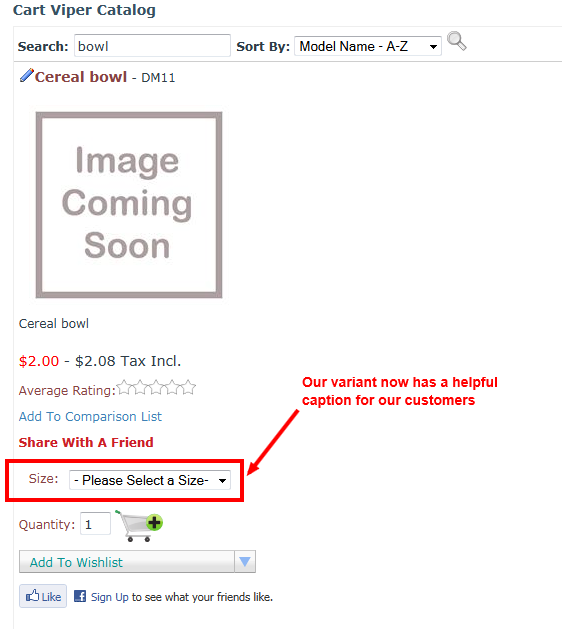 For example if we have a product which is available in different sizes we can define the caption to be “Please select a size” when editing the product. Then when viewing the product in the store front you can see the drop down has the caption selected. 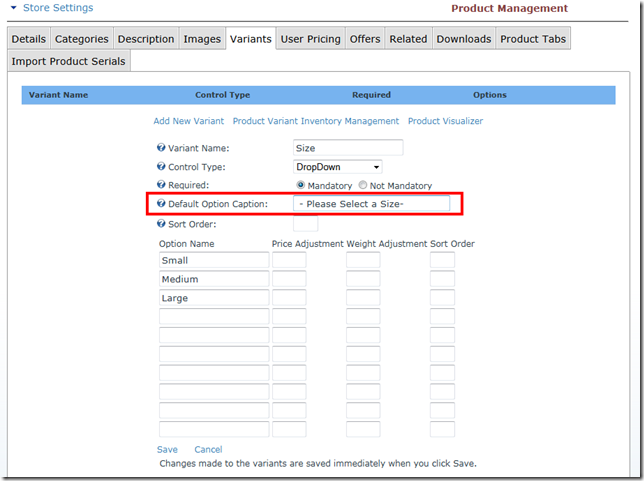 Variants which are mandatory require the customer to select a valid option, its not possible to add the product to the cart when the default caption is the selected item in the drop down list. One of the many improvements and new features all available in the latest release of Cart Viper. As always we have a free 14 day trial so you can test drive these features for yourself.